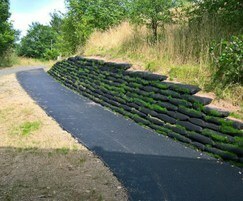 The Rootlok vegetated wall system consists of two primary elements - a bag and a plate - that combine to form a solid yet flexible structure. The plate joins the gap between the bags and locks each one into position to form a solid structure. 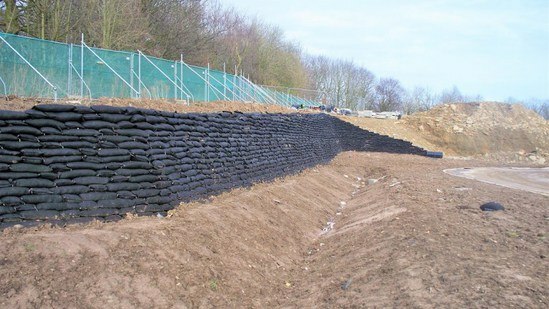 The engineered system is designed to provide a permanent soft solution for green walls and retaining structures, delivering long-term erosion control, whilst creating sustainable and environmentally-enhancing schemes. 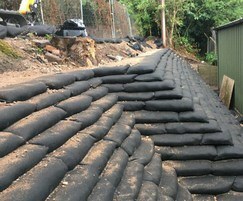 Permeable needle-punched, non-woven geotextile, heat-bonded on all sides to maintain shape when filled. Fabric acts as filtration system, permitting moisture and plant roots free movement whilst retaining soil particles. UV-stabilised, ensuring the bags do not rot. Resistant to naturally found alkalis and acids within the ground. Engineered blend of soils, compost and sands creates a free-draining system. Sufficient nutrients to gain a sustainable green finish and support the growth of vegetation. For water applications, bags are filled with clean fine gravels up to the required level. The modular design of the system allows every Rootlok structure to grow and support many types of vegetation. It takes about three methods to vegetate the structure: seeding the geotextile bags, hydroseeding, and inserting live plants. 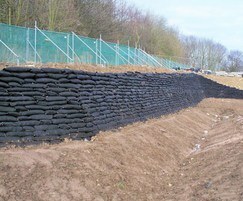 The Rootlok system can be used to build walls from as small as 0.42m up to 10m or higher. There are numerous construction methods dependant on the wall type and height, loadings and other specific site conditions. 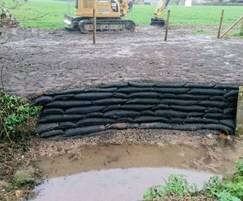 Rootlok was used by Enfield Council to construct a new headwall in the Firs Farm Wetlands Flood Alleviation Scheme, in order to provide erosion and flood protection to a large pipe outlet.